Practice kindness… – Journey to my heart…. I have been noticing on Facebook how easy it is for some to post frequently about their hardships. I am all for honest and open sharing, but I sometimes wonder if Facebook is a misuse of sharing our struggles. When someone posts frequently about their hardships, I want to encourage them to find a support system of real people AND practice kindness. I have learned that when I struggle to find something joyful or inspiring to share, it is time for me to look outside myself and give myself away…. 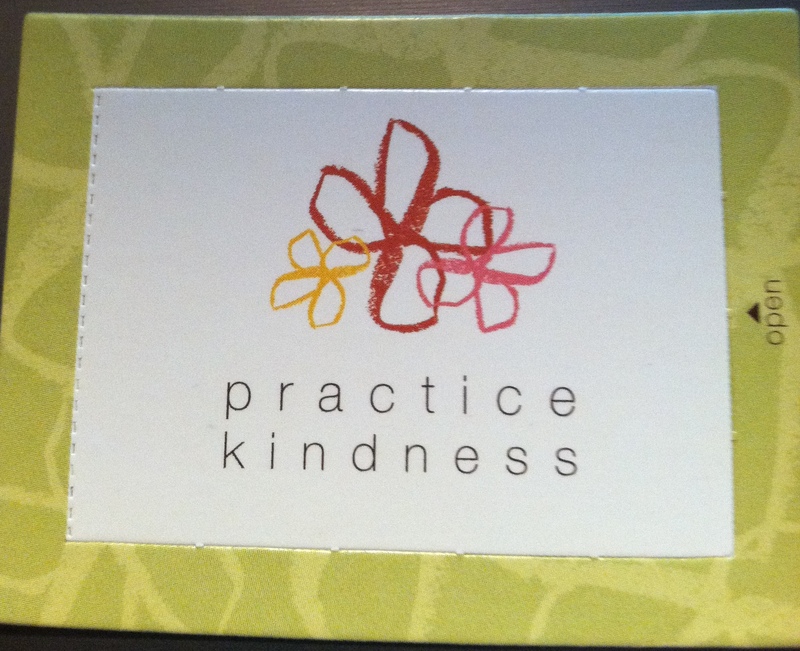 I found a great little box of cards that are called Practice kindness cards. I would like to share one with you tonight…. 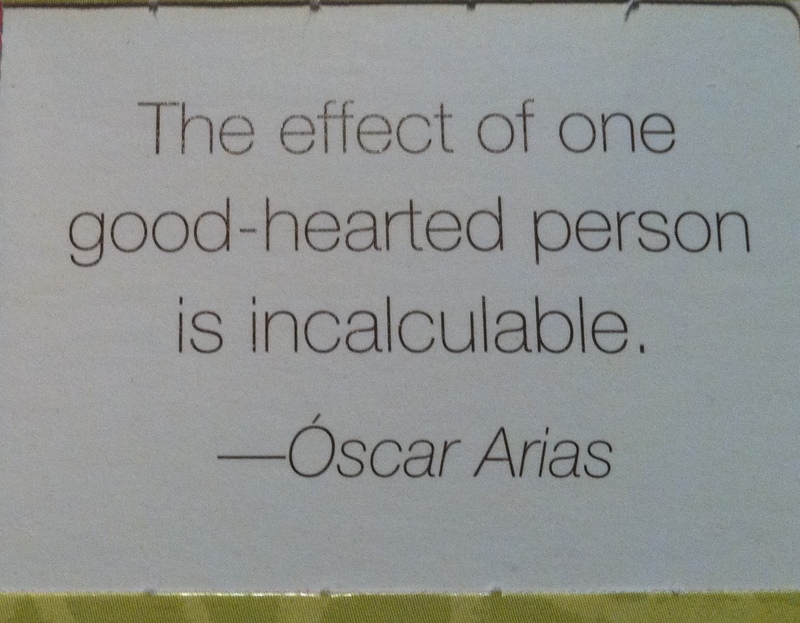 So, I would like to encourage you to be one good-hearted person. Do something simple that brings joy to another…. I have learned that it doesn’t have to be big nor cost any money….be creative and have fun reaching out to someone else. It is my hope that each of us will take time to practice kindness and in return each of us will experience deep and lasting delight (and some perspective) that will carry us through our own difficult times! Previous Previous post: November ~ a month of growth…. Next Next post: Dutch’s first squirrel….